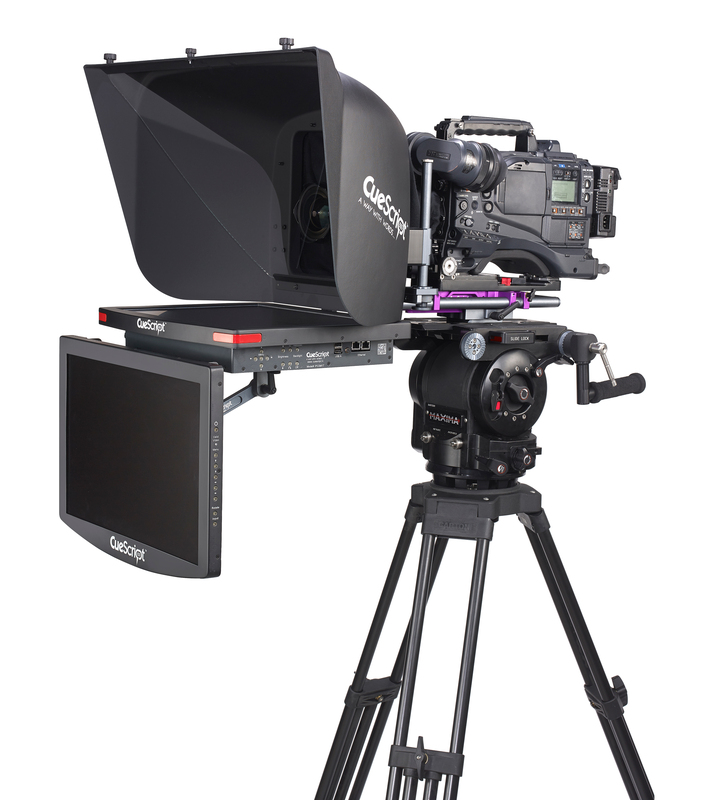 In recent years the introduction of talent monitors hung under the prompter has become increasingly popular, tidying up the studio floor and preventing the talent having to look off camera. 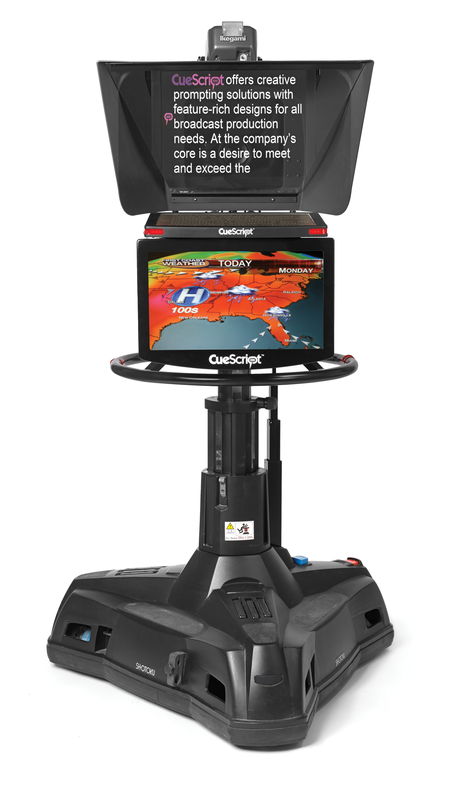 CueScript Talent Monitors have been built for purpose and have an aesthetically pleasing curved design. 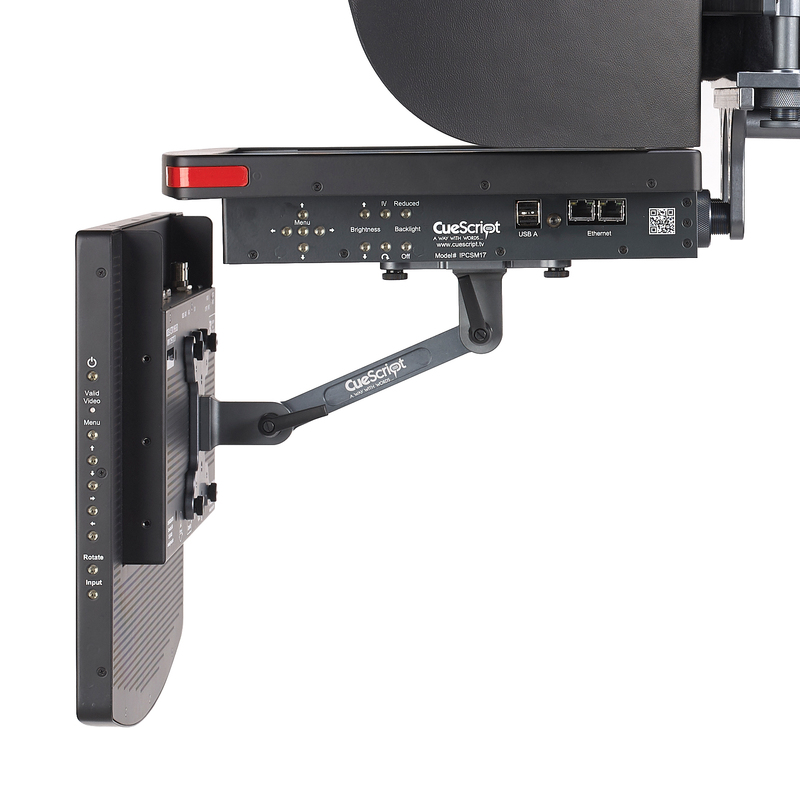 Integrated mounting rails allow for smooth, quick setup and power to the talent monitor can be taken from all the CSM prompters. 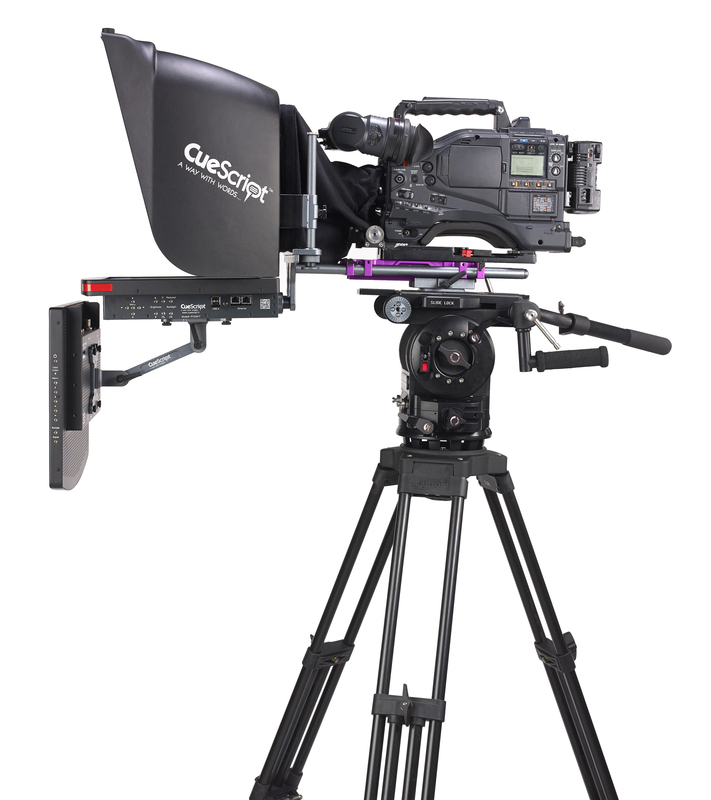 The CSTMM* Talent Monitor Mount fits the CSTM19 to all CueScript CSM Monitors. Slides into the CueScript CSM monitor range via integrated rails using the CSTMM mount. Can attach to the CueScript EMC Monitor range with a modification.